Are Dog Owners Liable for Bites in Washington? What Should Slip-and-Fall Compensation Cover? Can My Auto Insurer Raise My Rates if I File an Accident Claim? Car Accident … Not My Fault … What Should I Do? How Is Fair Market Value Determined After a Car Accident? How Much Is My Seattle Car Accident Claim Worth? What Are Economic Damages in Washington? What Are Punitive Damages in Washington? Who Is at Fault for My Seattle Car Accident? Who Is at Fault in a T-Bone Accident? Who Pays for a Rental Car After an Accident? Dogs aren’t always man’s best friend; sometimes, they hurt us. If you’ve been hurt by a dog, team up with a Seattle dog bite attorney as you pursue compensation. For all the well-mannered dogs being walked around Seattle at any given time, there will always be dogs out there that have the potential to cause injuries. Dog attacks can range from relatively minor to fatal, and they can strike at almost any time. Victims of dog bites often suffer physical and psychological injuries, the effects of which can last for years or a lifetime. If you have been injured in an unprovoked dog attack, you may need financial compensation to help you deal with your medical bills, therapy, lost wages, and other damages. The state of Washington allows dog bite victims to file a claim for compensation in such cases. 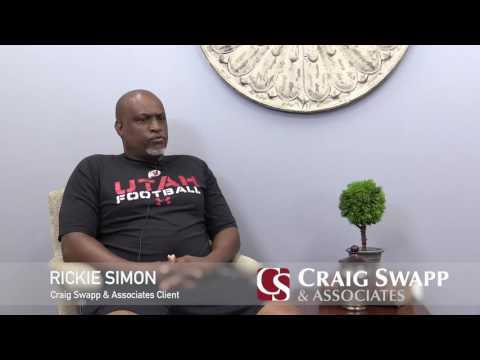 However, in order to receive the compensation you’re seeking, you may need the help of a Seattle dog bite lawyer from Craig Swapp & Associates. In general, states approach dog bite laws in one of two ways. Some states use what’s commonly known as the “one bite rule,” which relieves dog owners of liability if they had no reason to believe their pet was aggressive. That is not the rule that Washington follows. In Washington, dog owners can be found liable for first-time bites, regardless of whether the owner knew the dog had exhibited aggressive behavior before. This rule can make your Seattle dog bite injury claim somewhat easier to win. You did not provoke the dog before it bit you. You were bitten in a public place or on private property you were legally authorized to be on. An important distinction must be made between dog bites and other types of dog-related injuries. The strict liability dog owners face applies specifically to dog bites, so if a dog injured you in some other way, you and your Seattle dog attack lawyer will need to prove that the dog owner’s negligence allowed the dog to injure you. For example, if a dog jumped on you as you were walking down the sidewalk, knocked you down, and broke your wrist, you would need to be able to show that the incident would not have occurred if the dog owner had properly restrained his or her dog. Seattle’s leash laws mandate that dogs should be restrained in public areas. Of course, the injuries dogs can cause don’t stop with physical injuries. Dog attacks can also leave you with psychological and emotional scars, such as post-traumatic stress disorder (PTSD) and a crippling fear of dogs. Both your physical and psychological injuries should be accounted for in your claim for compensation. You will need to calculate the value of all the effects your injuries have had on your life. For example, how much work did you miss while you recovered after your dog bite? How much compensation do you deserve for the visible scars the dog left on your skin? The answers to these and similar questions will help determine the value of your claim. Whether you’re going to need to pursue a dog bite claim or prove the negligence of the dog owner because the dog injured you in a different way, we can help you recover the compensation you need to move forward with your life. We understand how devastating serious dog attacks can be, and we’re ready to help. To schedule a free, no-obligation consultation with a Seattle dog bite lawyer from Craig Swapp & Associates, give us a call at 1-800-404-9000 or fill out the online contact form at the bottom of this page today.